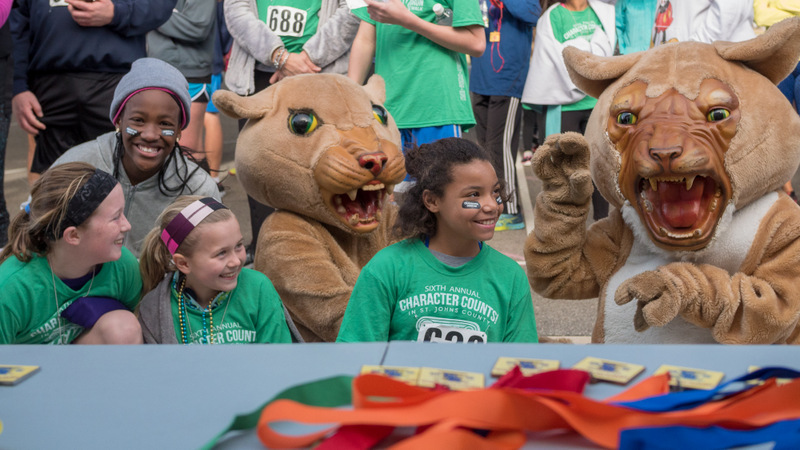 The 2018 Character Cup took place on March 21 at St. Augustine High School from 3:30-7 p.m. Parents, teachers, administrators, school mascots, and community members attended in support of the hard-working students. The CHARACTER COUNTS! Steering Committee is calling all walkers, runners and fitness enthusiasts to participate in the CHARACTER COUNTS! 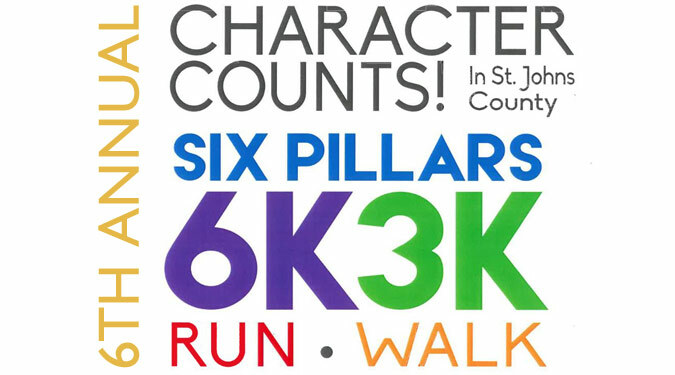 6 Pillars 6K/3K Run/Walk on Saturday, February 3, 2018, at 9 a.m. The run/walk will begin and end at Palencia Elementary School located at 355 Palencia Village Drive, St. Augustine.